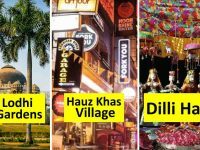 True, Dilli Haat seems more like a casual hangout place than one to cuddle up with the love of your life. 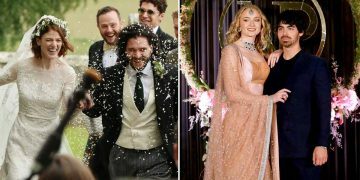 But isn’t love more about fun and happiness rather than the cliches? 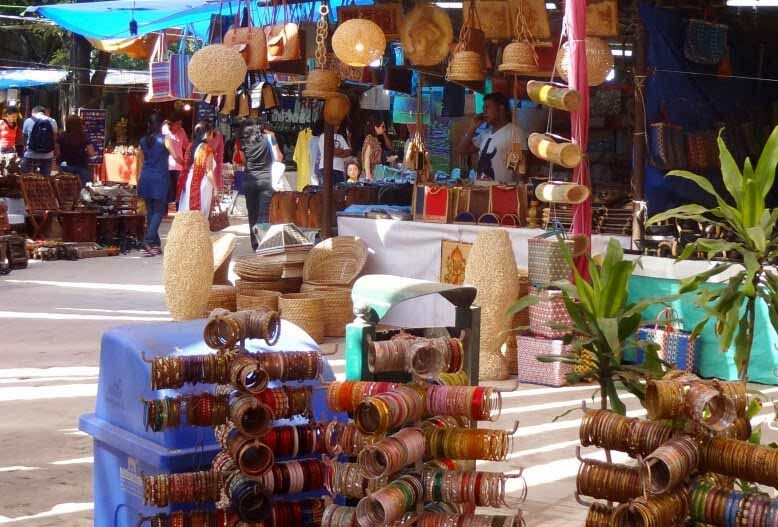 And it isn’t just fun- Dilli Haat is also all about drama. Even as a splash of colors make this place one of the most inviting ever, there’s more to explore in this quaintly appealing world of a hell lotta fun! If you are the adventurous type, try a Deepika Padukone and indulge your spirits by dancing on table tops the Love Aaj Kal style. And anyway, with a assortment of handcrafted artifacts on display, you are sure to be carried away by all that old world charm. 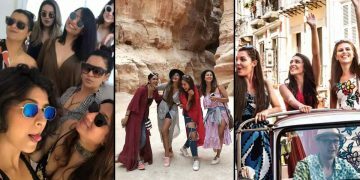 And obviously with all that color and charm, you can go on clicking endless pics to create memories. 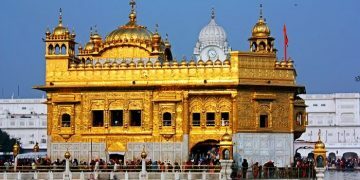 The vibrancy of the place is sure to make your spirits soar as you go on exploring one of the best places to visit in Delhi with friends and loved ones. 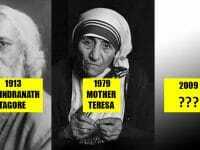 Love has been celebrated through the whole of history. What better then to celebrate romance with a stroll along the archaic ruins of the Lodhi Garden in Delhi? 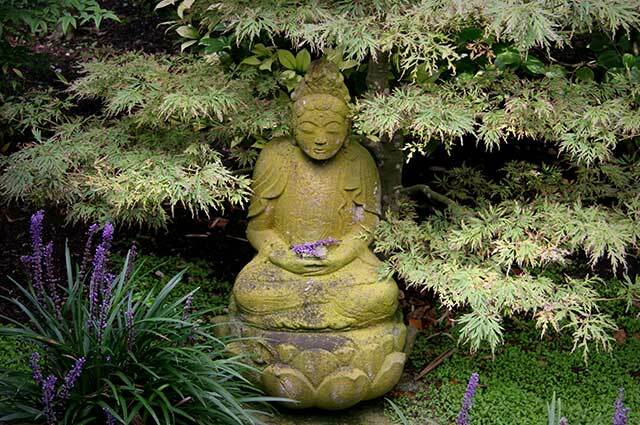 The tranquility of the lush lawns lend you a peace that calms you down. 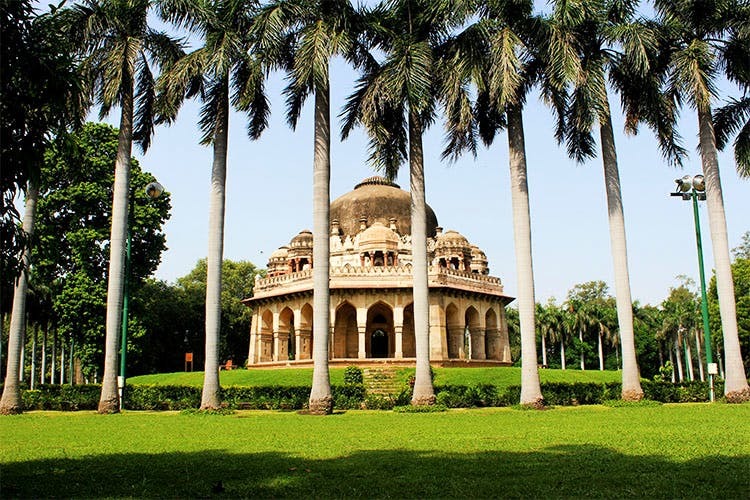 Among those places that are perfect for spending lazy afternoons gazing love struckedly at bae, the Lodhi Gardens are however not only about history. The iconic gardens also house one of Delhi’s best alfresco restaurant- aptly named The Garden Restaurant. With a dreamy seating setting amidst a canopy of greenery, the restaurant provides as much relaxation as the serenity nestled within the architectural masterpiece. A parallel world of blissful calmness comes to life in this one among the fun places in Delhi. Magical world of colorful beauties, gardens are forever enticing. 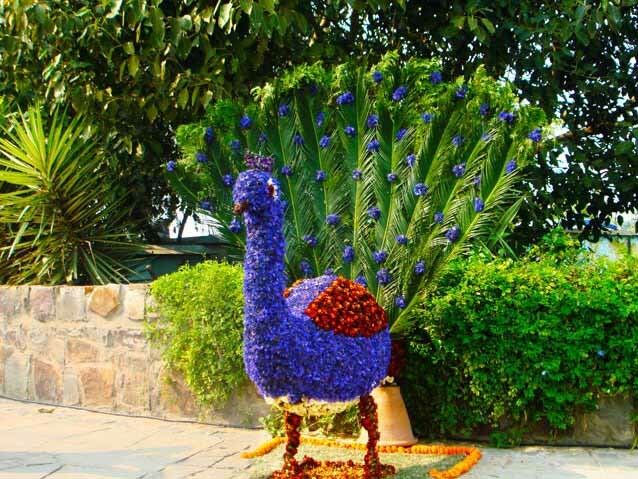 And Delhi’s picturesque Garden of Five Senses with its immaculately designed landscape has to be one of the most romantic places in the national capital. 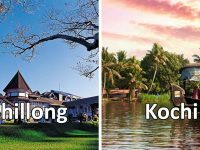 Charming pools besotted with water lilies, herb garden and bamboo courts just about manages to take your breath away. 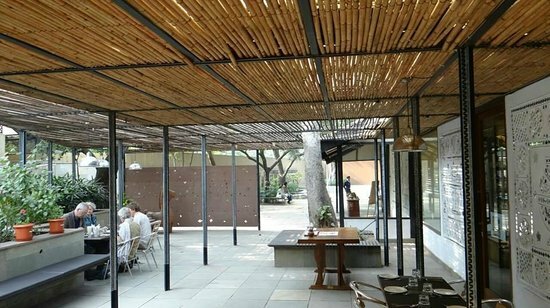 And with a number of restaurants to choose from as well, most prominently Fio and Magique,The Garden of Five Senses is definitely one among the best places to visit in Delhi with friends. Even with your special someone, this wonder garden would be the perfect haven to explore the ecstasy of your love. Cafes spell out bewitching dates and what better than a lovely place that is as pretty as it sounds? Saket is home to one of the daintily cosiest cafes in town, the Rose Cafe. With a pastel setting on the backdrop of a Victorian theme, a warm ambiance and a platter of fare that will leave you craving for more, Rose Cafe is all things that love embodies. And the great coffee and even greater desserts (apart from the vintage wine) that this cafe whips up makes this one of the best places to visit in Delhi, friends or not. Surely one of the most fun places in Delhi and also the whole of the country is India’s first natural ice skating café. 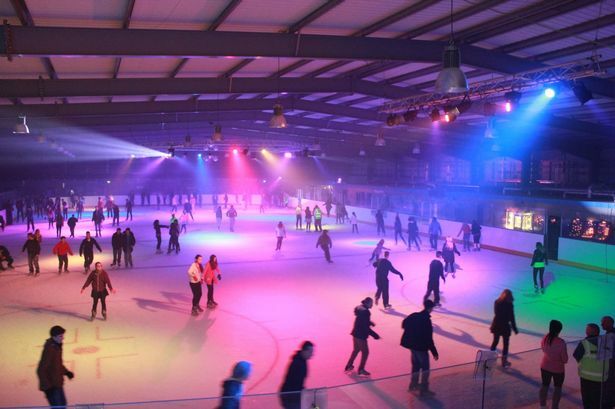 Named iSkate, this icy place in Gurgaon is sure to offer you and your bae all the chills of a perfect date. The experience would be one of its kind and skating your way to romance already sounds thrilling. Guaranteed to impress your date with a so not cheesy gesture of professing magical love! 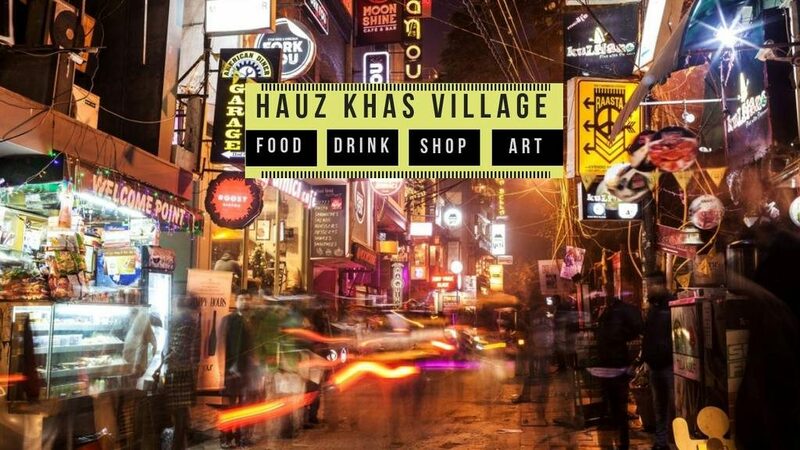 Hauz Khas village in Delhi is your one stop destination for a fun and adventurous, yet truly enriching date experience. A majestically breath taking sojourn along scores of deer in the beautiful Deer Park, the rustic charm of the fort nestled inside the village, the pristinity dotting the landscape in the form of lakes and lawns- all these contribute to make Hauz Khas village among the best places to visit in Delhi with friends and special ones. 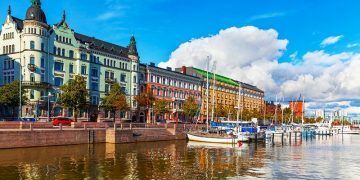 What’s more, the place is also host to some of the prettiest cafes and eateries. Namely the Elma’s Bakery, Bar and Kitchen, Mia Bella, the rooftop cafe Amour, Coast Cafe and a lot more. Heritage and history dished out with soul smackingly delicious love, what more can you possibly ask for? 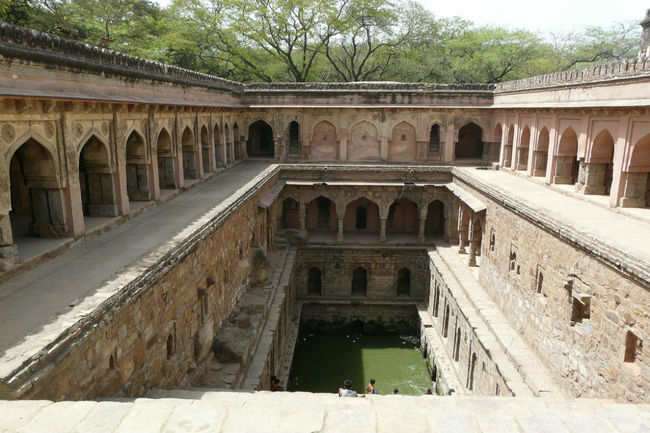 Another place on your date radar if you are much into history is Delhi’s Mehrauli Archaeological Park. Awaiting to thrill you with mysteries lost in the past are hundreds of ancient monuments that you can explore with the love of your life. And a sparse crowd also provides couple with quality time as an added bonus. Fall in love with the child in you that this theme park in Delhi’s Rohini area will surely unleash. 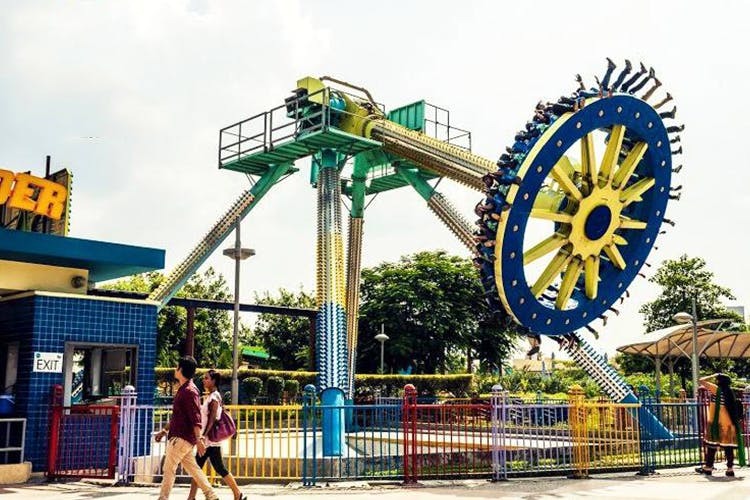 Thrilling rides, magic shows, fire acts, ring dances are just some of the things that will excite you in this park located in one of Delhi’s biggest malls, Metro Walk. The fun of shopping conjured with the thrill of excitement- someone take me there already! Large bay windows to gaze out at twinkling lights, soothing ambiance and classy interiors, Di Ghent Cafe serves every definition of a delightful date. And of course, as a cafe that lives us to its reputation of serving the most authentic taste of waffles, this Gurgaon eatery is just the perfect place for one of those romantic winter coffee dates. 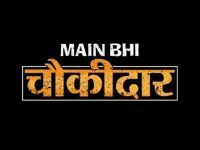 For sure, one of the best places to visit in Delhi with friends as well. If a passion for adventure fuels the bond you share with your partner, then we have just the perfect place for you. 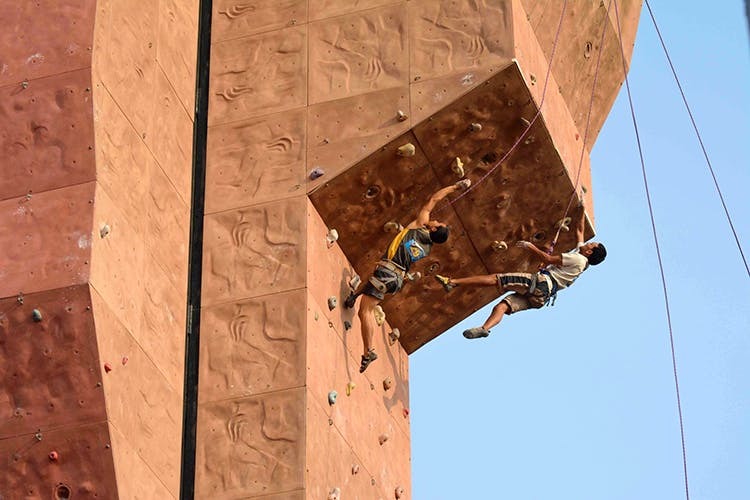 The Indian Mountaineering Foundation in Moti Bagh counts among the fun places in Delhi to satiate your high on adrenaline spirit. With rock climbing or tyre swinging and a slew of other adventure sports waiting to set your heart racing even as you hold hands every time you fumble, be prepared to explore fun and love like you have done no other time! Whoever thought mountaineering in Delhi would be a thing? If a lavish romantic dinner with your special someone is your idea of love, then go on and indulge at The Sevilla by Claridge. And with its settings ornated by Spanish elements, love seeks to intensify in this stylish restaurant in Delhi. Private canopies, candle light dinners, soft yellow lights, customised service, rose sprinkled tables- can you get more dreamy than this? And with gastronomical delicacies from Morocco and South Europe on offer, Sevilla will make sure that you have the grandest dinner date of your life ever! 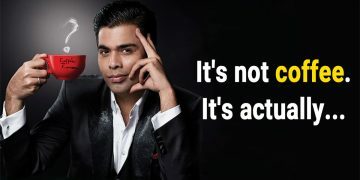 That too in virtual Spain at the price of Delhi! Oh now, who can not give in to the old world romance that Delhi’s most iconic place offers? 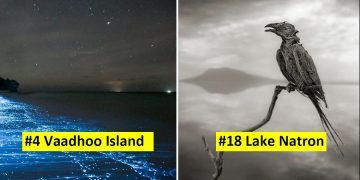 Not at the least offbeat, but surely this is one of those places that can make you fall in love every time you go there. 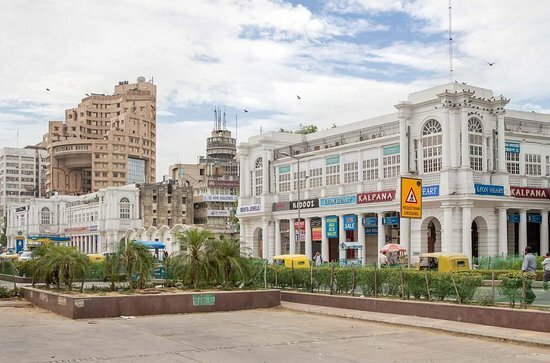 Even with a teeming crowd, Connaught Place is surprisingly refreshing. Perhaps it’s the grandeur that makes this one of the best places to visit in Delhi with friends. And don’t plan on doing exotic while you are there. Just go with the flow and shop or eat and walk to your heart’s content. 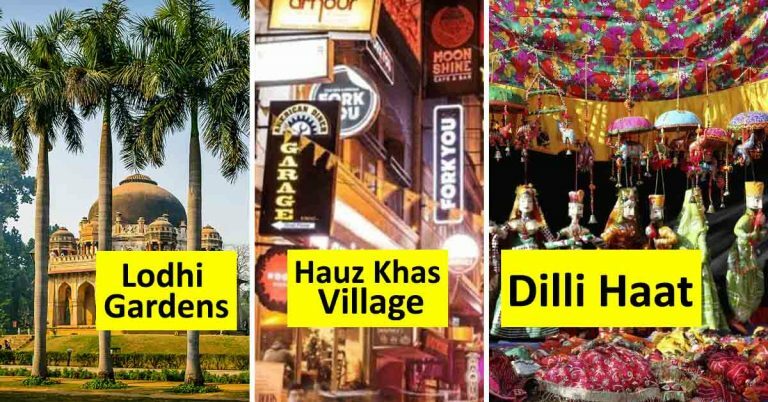 One of the best explored places is also one of the most fun of places in Delhi to amble along without the worries of the world! 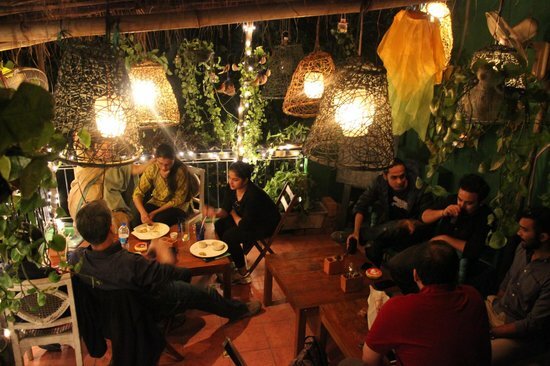 Known for its unique and innovative Bihari recipes, Potbelly Rooftop Cafe in Delhi’s Shahpur Jat area makes your dates much more memorable and fun. Also as a rooftop cafe, Potbelly is swarmed by folks for the pretty view it offers. That apart, the comfort and ambiance makes this quaintly decorated little cafe among the most coveted in town. For all the dilwalas in fray, Potbelly is one of those fun places in Delhi to hang out with friends or get cosy with bae. 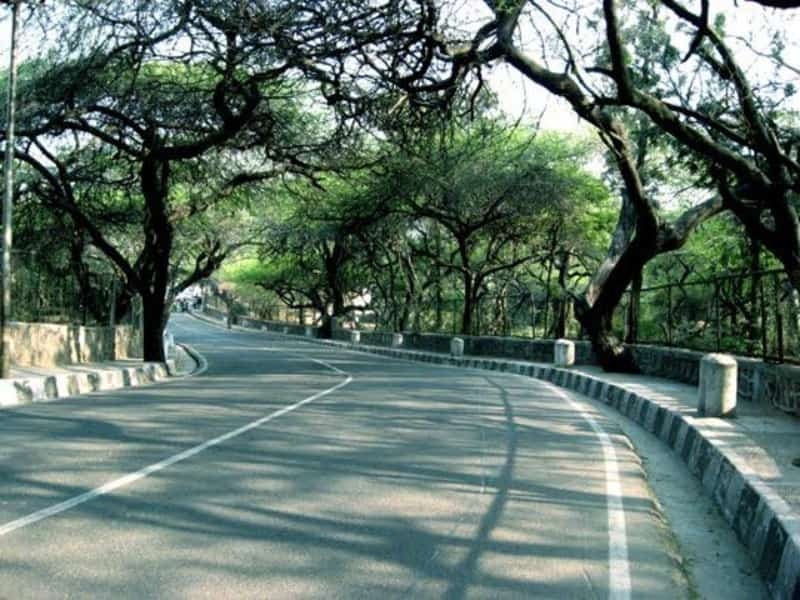 If long drives or long walks are your idea of romance, then Ridge Road is the route for you. Quiet and deserted sounds so hauntingly romantic and the Ridge Road in Delhi’s famed North Campus offers just that. A detour along the Ridge Road is a wonderful break from the hustle and bustle of the city life. The beauty in the calmness just about offsets you as you go on a date in one of those cool places in Delhi. 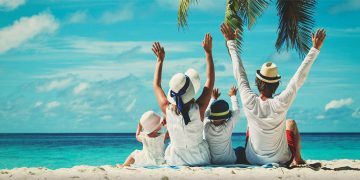 Yet another theme park that features in the list of best places to visit in Delhi with friends and people who are more than just friends is Noida’s World of Wonder. 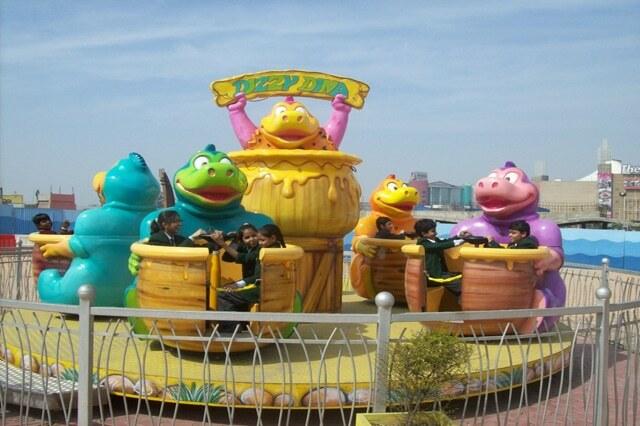 The most popular amusement water park in Delhi NCR offers an assortment of fun rides. 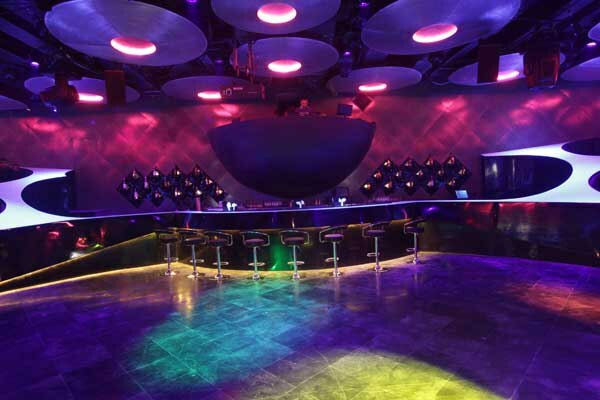 Also as a perfect weekend getaway, World of Wonder is one among the best hangout places in Delhi for students. Frolicking about with a variety of water sports like paintball, air hockey, go karting et al, World of Wonder is your ticket to revisiting your childhood. 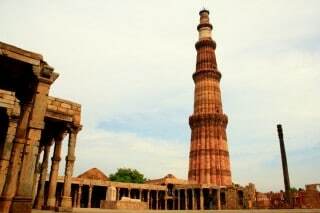 An iconic monument with a rich historic legacy to it, Qutub Minar is mot just a stand alone monument. The Qutub Minar Complex in Delhi’s Mehrauli area is an excellent place to explore and has much magic to it. Delving in the past and envisioning the future, all while being deep in love is a different kind of nostalgia. And as simply an escape from the harsh reality of a dreary day, roaming around the iconic complex hand in hand with your loved one is just what you need sometimes in life. 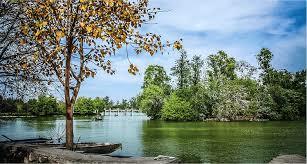 Serene water bodies are the perfect setting to wade in deep waters of love. 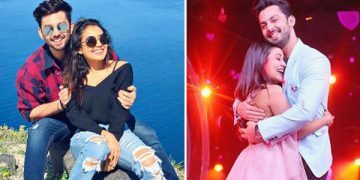 And when it’s a lake as picturesque as Delhi’s Tilyar Lake, the romance is bound to soar heights. Located in the city’s outskirts, some 70 kms away, Tilyar Lkae is the perfect spot to go picnicking with your loved ones. Exploring the quietude of the place, the beauty of the lake while relishing the fresh air during a stroll along the walking tracks is an experience unmissable. Boating in the lake while exploring the nearby theme park also counts as fun activities guaranteed to strengthen your bond of love. 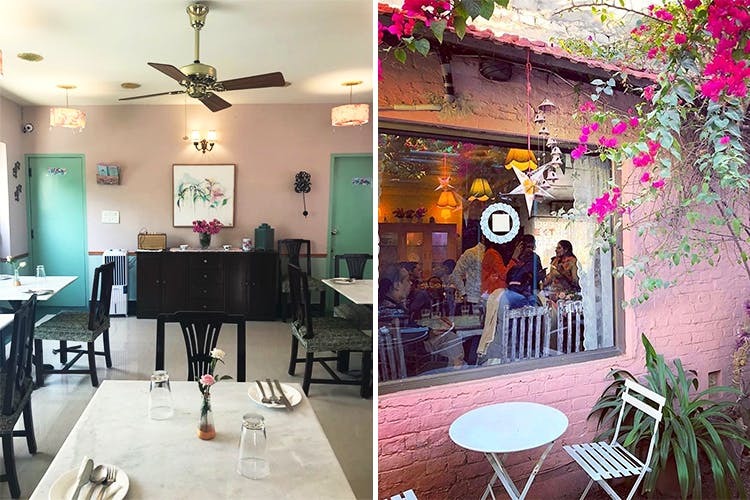 Among those few places that spell out young charm and a vibe of modernity slowly seeping into the old world, Delhi’s Champa Gali is uniquely appealing. Abounding in cafes and bistros, design studios and handicraft stores, Champa Gali holds the key to a world of love and romance. There’s a thing that draws you to this place once you’ve experience the delight of being here. So why not go there for the first date and come back every now and then even without having to seek any reason for the same? 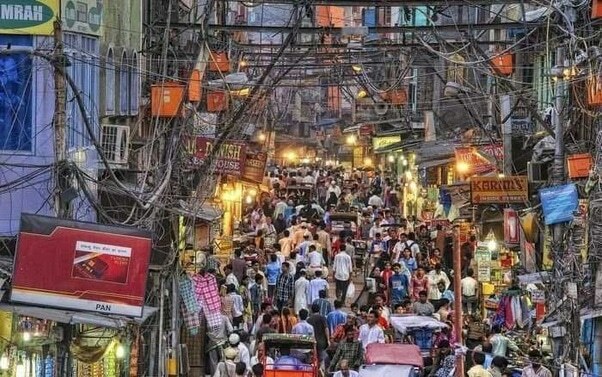 Champa Gali is definitely one among the best places to visit in Delhi with friends and for young people awaiting to drench in the colors of the world, this also counts as being among the cool hangout places in Delhi. Another amusement park that joins the juggernaut of romantic places in Delhi is the Bird’s Eye View. 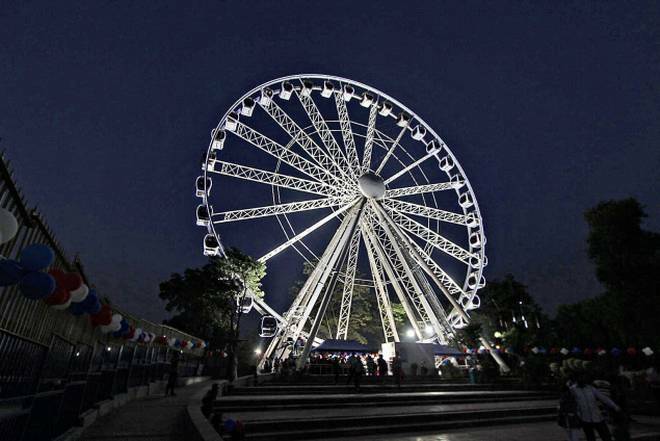 The eye catching and much hyped Delhi Eye is the main attraction of this Kalind Kunj park. The giant ferry is modelled along the famed London Eye and ranks among those places to visit in Delhi in evening. Hopping on to the excitement that this fun ride has to offer, watching all the mad rush of the city pass as you sit there stuck in time with your partner- can you get any more dreamy? 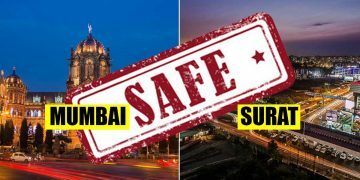 And in case you have had enough of the Delhi Eye, there still are water parks and other joy rides, 6D cinema and kid’s zones to explore. Bird’s Eye View sure is one of those coolly fun places in Delhi. If you are in Delhi and have not tried the city’s famous street food, then you have not lived the true Delhi life. So why not explore such mouth watering fare along with the love of your life? Chandni Chowk’s iconic Paranthewali Gali is Delhi’s landmark for mouth watering street food. 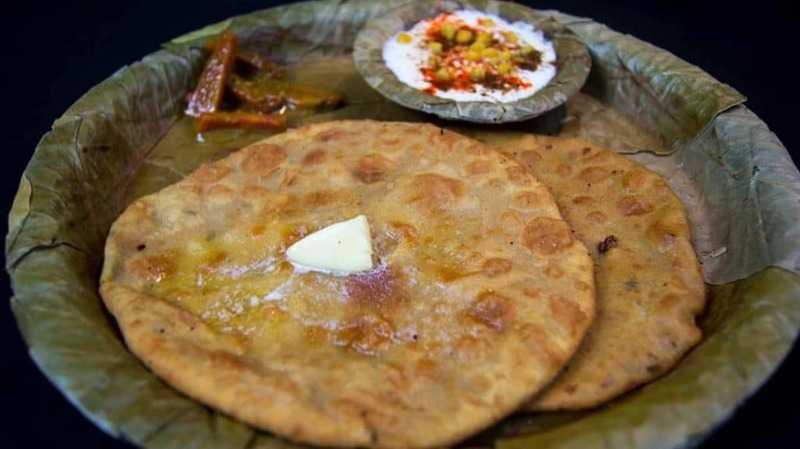 A treat for all those who love the sight of butter melting into ghee fried paranthas, this should be the perfect date for foodie lovers. And it isn’t just the food that is delightful. The environs are equally buzzing with myriad sounds and clatter, with wafting aroma and flavour of delicious food. Grabbing a plate of piping hot rolled and fried dough and digging into it, all while falling in love with your girl once more as you see her gobbling it all up is one of those life pleasures you live for! 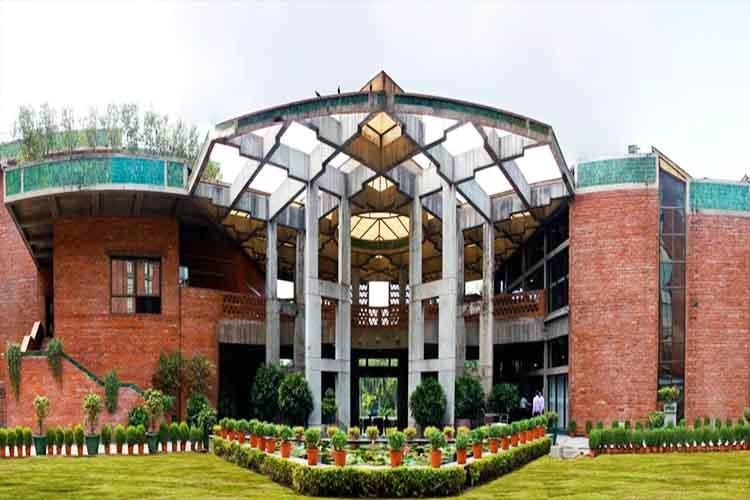 Unexpectedly romantic and extraordinarily beautiful, the famed Jawarharlal Nehru University’s open air auditorium is also one of the best places to visit in Delhi with friends or bae. Surrounded by rocky hills, this offbeat love route goes by the name Parthasarathy Rocks. Sitting atop the rocks while watching the gorgeous sunset that falls upon the horizon has to count among the most romantic of things to do. The locational advantage of being nestled comfortably in Delhi’s highest spot however comes with a restricted access. 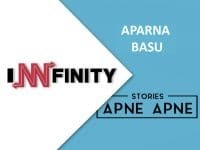 It is perhaps the exclusivity of this place that also makes it one of those uber cool places in Delhi, as difficult to attain as it is appeasing to the senses. Among the list of places to visit in Delhi in evening, if you can conjure up the chance, that is. Easily among the best hang out places in Delhi for students and couples to beat the city’s sweltering heat, Ice Lounge more than makes up for the humid climate of India’s national capital. A cool place to cuddle up as well, Ice Lounge has regulated sub zero temperatures and makes for a perfect romantic outing. 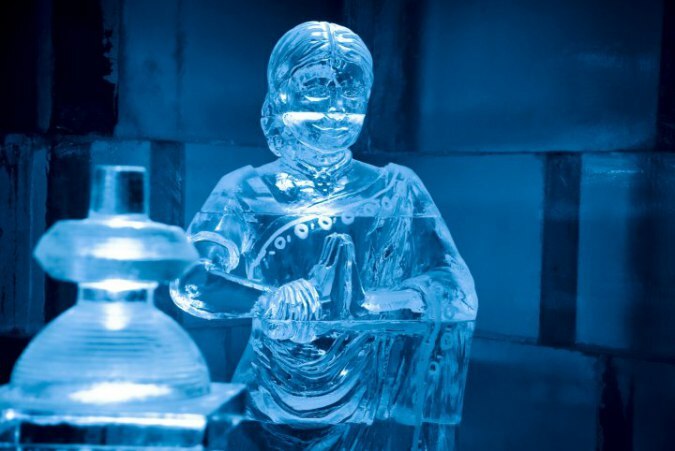 With a host of beautifully carved ice sculptures on display, the place looks and feels too dreamy to be true. And it isn’t just the icy experience, the place serves food as well. 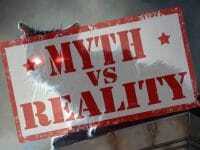 If you are one of those countless young spirits, broke but very much in love, then Satya Niketan is the place for you. 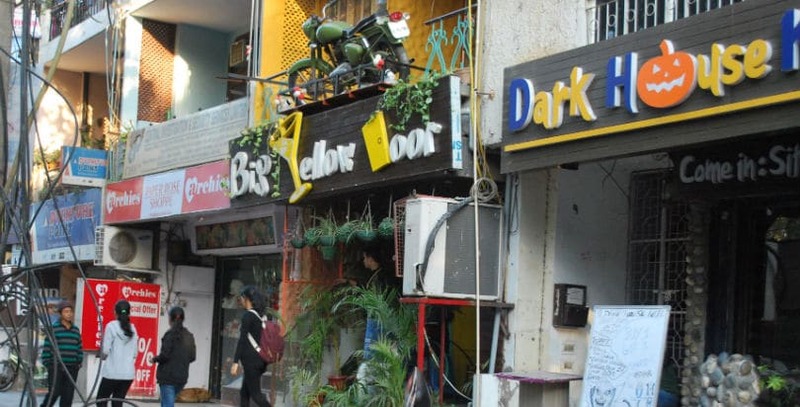 A whopping number of budget friendly cafes dot this neighbourhood in the teeming city of Delhi. 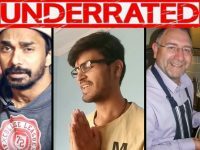 Among the best hangout places in Delhi for students, Satya Niketan is also ideal for low on cash but high on emotions fun and friendly dates. The epitome of a student’s hub by every means possible, Satya Niketan is definitely one of the best places to visit in Delhi with friends. Fun and affordable, this buzzing area in the national capital is a wonder of its own. Artsy folks in Delhi will most probably be most happy with a romantic date somewhere along Delhi’s iconic India Habitat Centre. 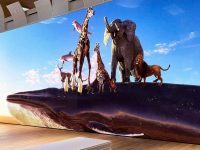 Art aficionados can revel in a number of art exhibitions and shows, cultural programmes and dance events, music recitals that are a staple in this part of the city. Books and plays also come live in this culturally relevant space of an otherwise rigorous city. The centre housed in an outdoor complex also boasts of numerous food joints and inspires multiple social interactions. 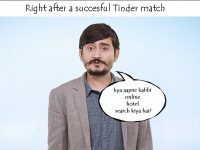 So even if you are one of those yet to find a soulmate, go on and indulge in arty talks and conversations here- who knows, you will likely find the portrait chasing you in your dreams! Either for a romance meet or a catching up with friends, Aqua by The Park offers the perfect lounge to relax and rejuvenate. Innovatively modern and luxuriously indulgent, the dine in alfresco’s true blue pool looks so inviting! 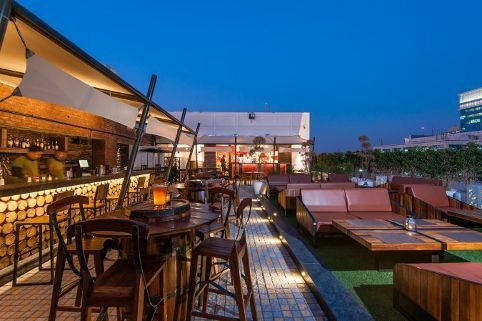 And with great food and good music on offer as well, this is one of the best hangout places to visit in Delhi in evening with friends and family. Another of the naturally beautiful parks that are a haven for young lovers, Buddha Garden in Dhaula Kuan is Delhi’s another pretty place. Beautifully maintained and manicured lawns, clear flowing streams and the sloping landscape makes it very romantic. Perfect to laze away a sunny afternoon in the comfort of your loved one’s company. As a city with a bubbling and young, energetic crowd, Delhi is home to a number of interesting cafes. Located in the equally intriguing Aurobindo Complex, the Summer House Cafe is one of the most happening cafes in town. 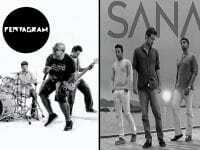 Live music gigs and performances lined up with its peculiarly awesome cocktails makes Summer House Cafe among the best places to visit in Delhi with friends. The couple specific arrangements and cosy ambience also sets this place up as a much favored venue for dates. India Gate indeed does appeal with its significance and prominence. But that’s not the only wonderful thing about the India Gate. 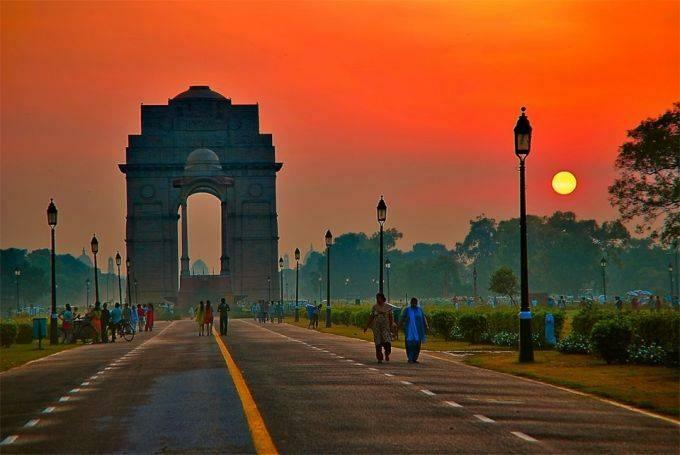 Since ages now, India Gate has been the prime location for budding romances or even for reliving old romances. The place has a certain charming feel to it, that which lures love into the fold. Walking around the area hand in hand with bae has to be one of the most emotionally enriching experience ever. But even when the place is radiant and vintage in all its daylight glory, come night and the aesthetics go through an uplift. Twinkling lights sets up this place as visitors see a virtual fairytale unfolding. And the endless number of street stalls that spring up there just about adds to the frenzy of the place. India Gate is one of the best places to visit in Delhi with friends, simply to hangout with pals or indulge in a romantic walk with your partner. Authentic Italian fare seeks to up the ante in this cosily romantic and cute cafe in Delhi’s MG Road. Nestled in a beautiful Tuscan Villa inspired by Italian’s enchanting allure, Caffe Tonino is an array of open spaces bedecked by verandahs and twinkling in the magical glow of fairy lights. Tables with lit candles create a dream like ambiance that which immediately translates your intense feelings into love fables. Romance seems to hover in the air and you cannot help but be carried away in the aura of love that just floats about. 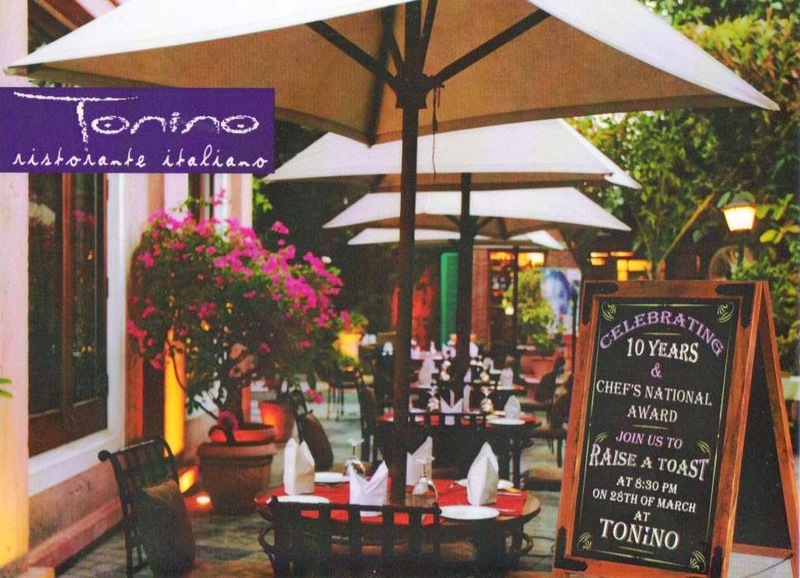 With authentic Italian taste enhanced by fresh and imported products from the region itself, Tonino is as much about satiating taste buds as it is about spirits soaking up the warm delight of affection. What can speak besotted more than star gazing with the one who you love to the moon and back? The magical mysteries of the universe works its charm upon you when you are cupid struck with love. Dreaming away a fantasy with the person who means the world to you as you witness magic up in the sky is what die hard romantics swear by. 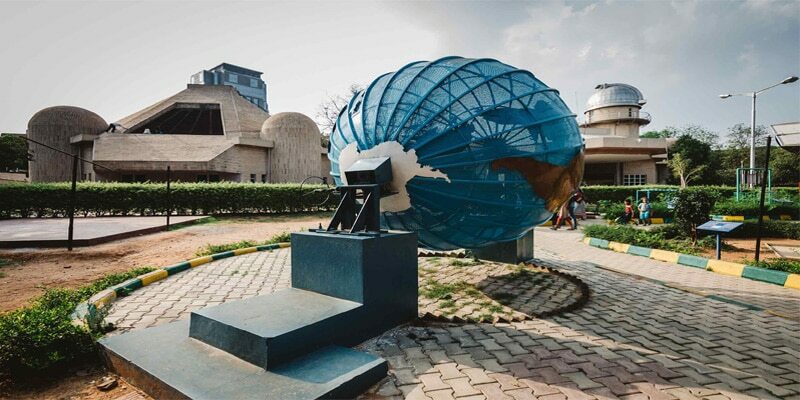 Star gazing apart, the Nehru Planetarium also exhibits interesting space shows in theaters. So go on and let your starry eyed heart revel in the experience of moonlit magic one more time! Spinning a love story that is uniquely old school amidst the modern day romances, Cafe Lota is a sojourn of sorts for every soul deeply in love. The quaintly beautiful cafe offers a majestic blend of traditional and contemporary elements- be it in ambiance, food or even tea and coffee. Along with a museum that it houses, Cafe Lota is by every means the go to Delhi destination for indulging in a touch of the past. 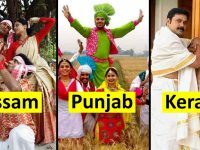 Among the best places to visit in Delhi with friends and special someones, Cafe Lota presents you regional charms even while being settled amidst the hip and happening national capital. 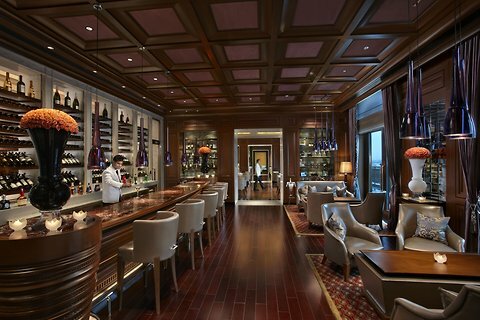 Amongst the best fine dining options in Delhi is Le Cirque at Chanakyapuri in South Delhi. A branch of the New York franchisee restaurant, this place is the most elegant way for a date of romantic grandeur. 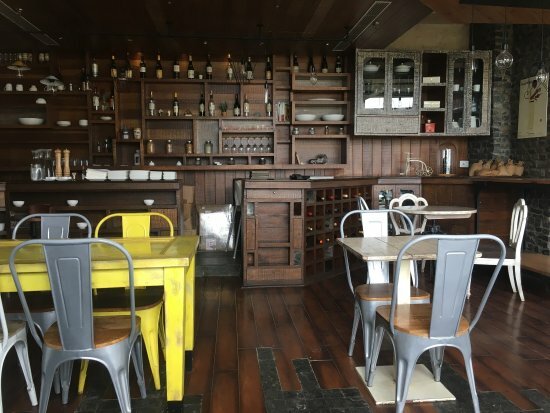 An assortment of French and Italian cuisines will likely make a date at this place your most memorable one for times to come. Celebrating anniversaries and romances in the most elegant way possible comes so naturally to this majestic place. 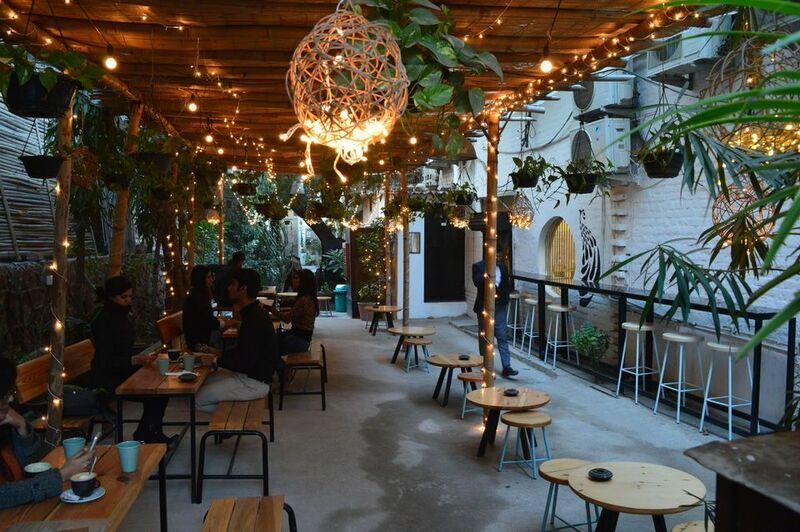 A cafe with a difference, Blue Frog in Delhi’s Mehrauli area is the ultimate date zone for couple who are die hard music enthusiasts as well. With a decor that is sophisticatedly stylish and hippily musical, the place just about has all that it takes to jazz up an otherwise ordinary date. 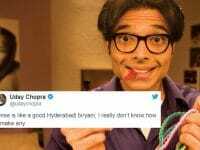 So if you are someone for whom love has been rattling the strings of your heart for long, Blue Frog, though with a weird name, would be the ideal dating venue for you. Even otherwise, this remains one of the coolest and best places to visit in Delhi with friends, lovers or just about everyone and anyone. 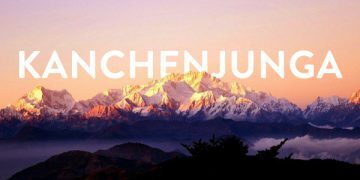 Kanchenjunga and the valley of immortality : Legends of the mountain kind! 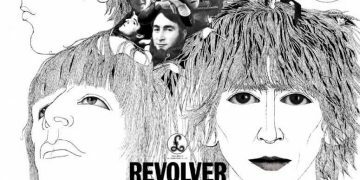 “Revolver” – the Beatles themed hotel in the Himalayas….